Superstar Tom Cruise is back in the role of dad this week as he spends some quality time with daughter Suri, 6, in New York City. The happy reunion has had its share of disruptions, thanks to a throng of paparazzi. What started as a media frenzy over Tom and Suri outside the Greenwich Village hotel on Tuesday led to a high-speed car chase with paparazzi on Wednesday. His driver reportedly sped through several red lights as he raced the father and daughter to a heliport in Manhattan, reports the New York Daily News. Their black Chevy Suburban was followed by at least 10 cars, six bicyclists and motorcycles during the 20-minute pursuit. 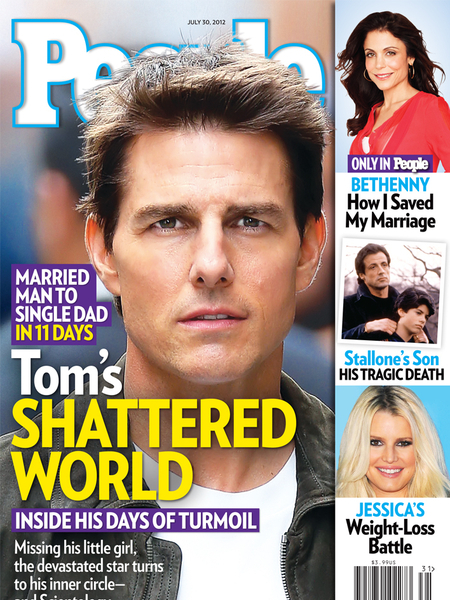 Friday’s People cover story takes a closer look at Tom’s private pain since Katie Holmes filed for divorce June 29 and further explains why it took so long for him to see his daughter. "He's wanted to see her as fast as possible since this started," a source told the magazine, citing his new movie “Oblivion” as the main obstacle. "He couldn't shut down production, cost people their jobs. People count on him." The “Rock of Ages” star’s speedy divorce settlement is testament to his commitment to his daughter, according to attorney, Bert Fields. 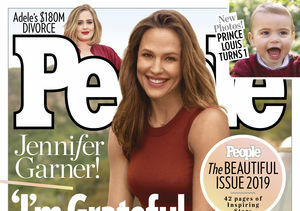 "Tom tried his best to do what's right for Suri," he explained, adding that Tom is “sad,” but not “bitter” about the situation. Cruise, who just turned 50, is leaning on his family for support. His mother, three sisters and two older children (with ex Nicole Kidman) Connor and Isabella, all Scientologists, have rushed to his side.